Have you ever had a song stuck in your head? (Worse, a bad song that strangles your thoughts?) A poor soundtrack can ruin any person’s day. What’s the best way to get the song out of your head? Because you can only focus on one thought at a time (this is part of the 3 Mind Factors featured in Degrees of Strength), it’s useless attempting to “stop” singing the song. 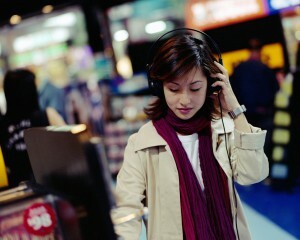 The best strategy: Replace the undesired song with a new one – a song you prefer. The same goes in leadership. Do you know anyone who sits at their desk or the dinner table telling the same, tired, ugly stories about other people? Trying to get these people to stop their negative rants is pointless. A better strategy: Quietly help them discover the power of telling a different story – one you and they would prefer. 1) What story of “why we can’t (fill in the blank)” are we ready to stop repeating? 2) What stories can and should we tell to build our awareness and understanding that we do have what it takes to succeed? 3) What story from our past do you find the most inspiring as we move forward? The stories we tell all day become the soundtrack for our careers. Here’s to ensuring you want to listen to it for years to come. NOW AVAILABLE: The Degrees of Strength Team Acceleration Guide. Download your free copy now. This week’s VGTV: Degrees of Strength is not about “Just Being Positive” – What Degrees of Strength Isn’t and Is – Part 4. Watch now. 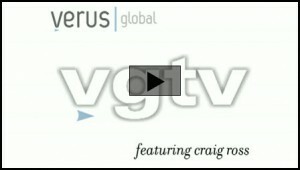 Listen to Craig Ross’ Great Work Interview here.